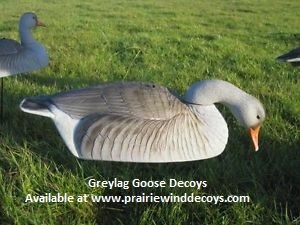 These Pro-Grade Greylag Goose Shells 1 dz. 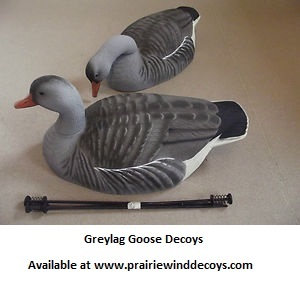 (AV72401) by Greenhead Gear GHG Avery Outdoors feature a Pro-Grade paint scheme and flocked heads. 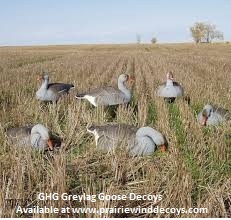 These shells work great for Pinkfeet geese, bean geese, and Barnicle geese. 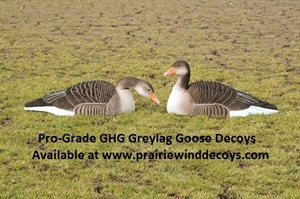 We're sure you'll want these new Pro-Grade Greylag Goose Shell Decoys from Greenhead Gear. These are detailed incredibly with the paint schemes you've come to know with GHG. With this package, you'll receive 4 resters, 2 Semi-Resters, and 6 Feeder heads for that realistic spread. 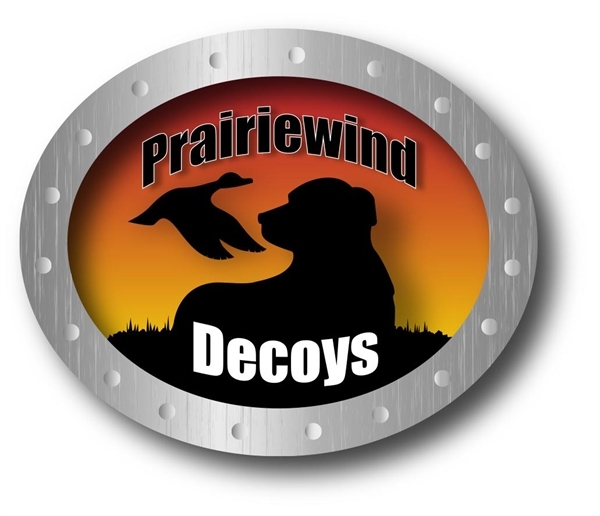 For added realism, you'll also receive six 18" MotionStakes that provide the movement for that successful hunt. When you need an affordable spread at a great price, this is what you're looking for. These shells are stackable. 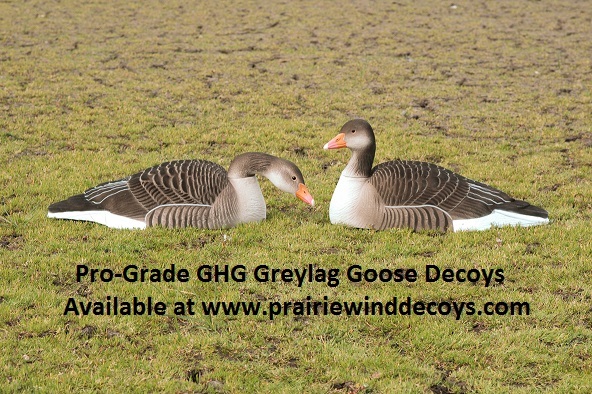 These Pro-Grade Greylag Goose Shells 1 dz. (AV72401) by Greenhead Gear GHG Avery Outdoors are a great deal! **FALL SALE** Normally $240/dz, ON SALE for $174.95/dz!! !